Allied Trade Group, Inc. (ATG Stores) began in 1999 with the launch of its first website, LightingUniverse.com. Since then, ATG has grown to over 500 websites throughout multiple home furnishings categories, offering close to 3 Million product SKUs from over 1000 name brand manufacturers, and 4 retail locations throughout Washington State. By keeping current with the latest trends in interior design, we strive to carry products that will be the focus of your home's décor, and always with superior selection, value, and quality. We understand our customers want their homes to be a unique reflection of their personal style, and a place of comfort and inspiration to them and their families. That is why we give every effort to provide all the resources you need to turn your house into a home. As I type, I have my feet comfortably resting on the beautiful round ottoman pictured above (A nice break from a hectic weekend :). So where did I find this classic, functional, and comfortable piece? ATG Stores ! I am a busy mom, so like most mom's I love the peace of shopping online in the comfort of my own home. Fall is just around the corner so when browsing through ATG Stores online I was looking for something that would cozy up our living space a little. 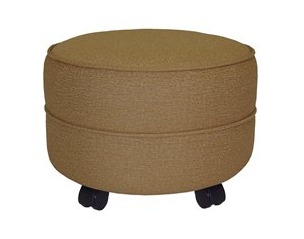 I was so excited to find the NW Enterprises Classic Round Ottoman (pictured above), it was just what I was looking for. The custom options available allowed me to create a piece that really matches the decor in our home. I chose the fabric, color, and feet. Though all of the colors were beautiful, I went with the Caramel ( pictured above ), and the glider feet ( note the caster feet are pictured above). I love this Ottoman, it added the perfect touch to the living room! I was honestly very shocked to see the myriad of item's that ATG Stores offers at such a wonderful price. There are so many great item's available to update, or cozy up your home for the Fall season that's just around the corner. ATG Stores has been very kind to offer 1 Lucky reader a $75 Gift card! The possibilities are endless! 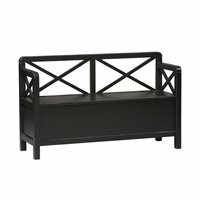 Leave a comment ~ Which item from ATGstores.com would you love to add to your home? The comment is considered your entry.